Cricket Wireless, one of AT&T's prepaid brands, today announced the upcoming release of the Alcatel Pulsemix, an affordable smartphone that will go on sale on July 21. The Pulsemix is a rebranded Alcatel A50 - a handset that will soon be offered in the US unlocked for $149.99 (or less if you want to buy its Amazon Prime version, which comes with adds and various Amazon offers on the home screen). Similar to the A50, Cricket's Alcatel Pulsemix runs Android Nougat out of the box, offers a 5.2-inch display with 720 x 1280 pixels, and is powered by a quad-core 1.5 GHz MediaTek MTK6738 processor. Other features include LTE connectivity, 2 GB of RAM, 16 GB of internal memory, microSD card support, and a 2800 mAh battery. What's interesting about the Alcatel Pulsemix is that, just like the A50, it's compatible with a series of Alcatel accessories that seemingly try to mimic Motorola's Moto Mods. Sold separately (for prices that haven't been revealed), these accessories will include a Sound SNAPBAK (with 2.5 watt stereo speakers for rich sound, and built-in kickstand), a Power SNAPBAK (for extra battery life), and a LightUp SNAPBAK cover (featuring an array of customizable, multicolor LED lights that provide illuminated notification alerts for incoming calls, emails, messages, or social media stuff). 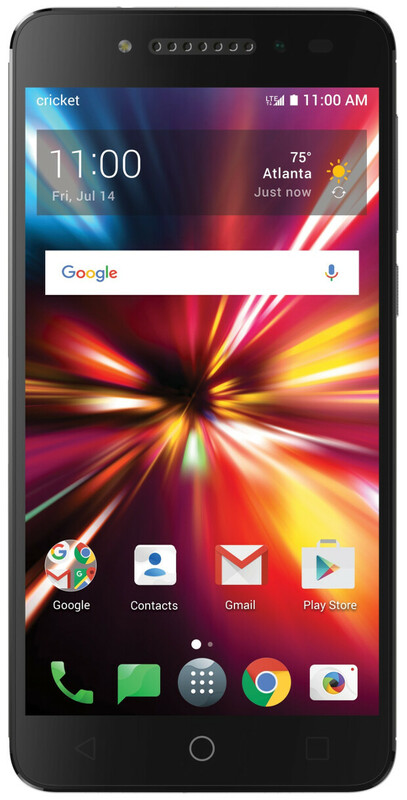 Cricket will sell the Alcatel Pulsemix for $79.99 with activation of a smartphone plan, no contract required. Or, if you port your number to Cricket - from any other carrier except AT&T - you'll be able to get the new phone for just $29.99. Any buyers here? The specs are about right for someone like me, though I am not so interested in the modular attachments that they will undoubtedly try to peddle. I would rather have Qualcomm silicon in this, but Mediatek silicon will be alright, I would imagine (especially considering that a lot of OEM’s hate Qualcomm lately). I don’t know what others will think about this phone, but I am an entry-level guy because I have an entry-level budget, and $80 is a rather decent price. LG Harmony has fairly similar specs for $100, and I am still hoping that the Moto E4 will come to Cricket for $100 or less.